Hey there folks! 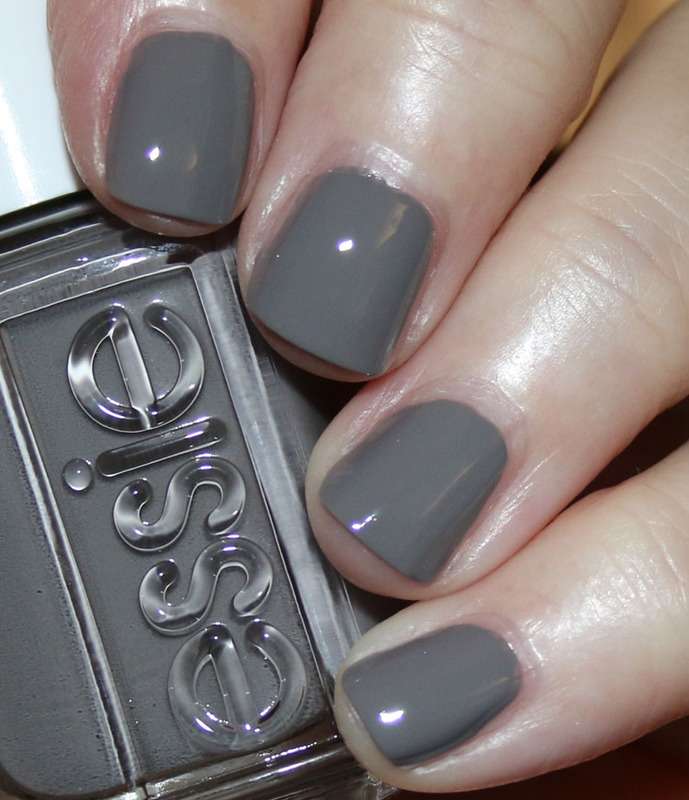 Today I have the new essie serene slate collection for ya! 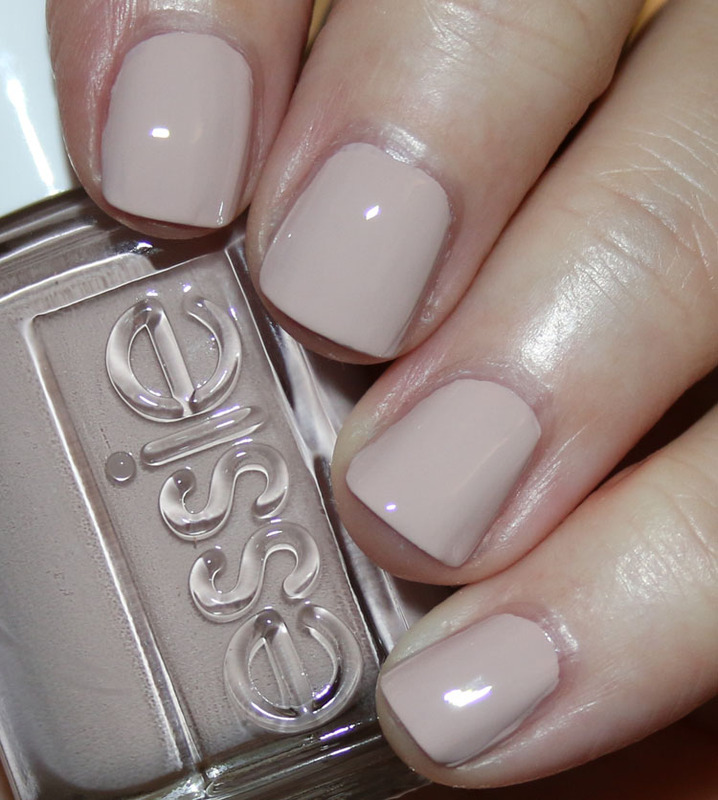 The essie serene slate collection features nine new nail colors, all with a muted, soothing neutral flavor. Most of these are cremes but we have a couple shimmers and a metallic as well. 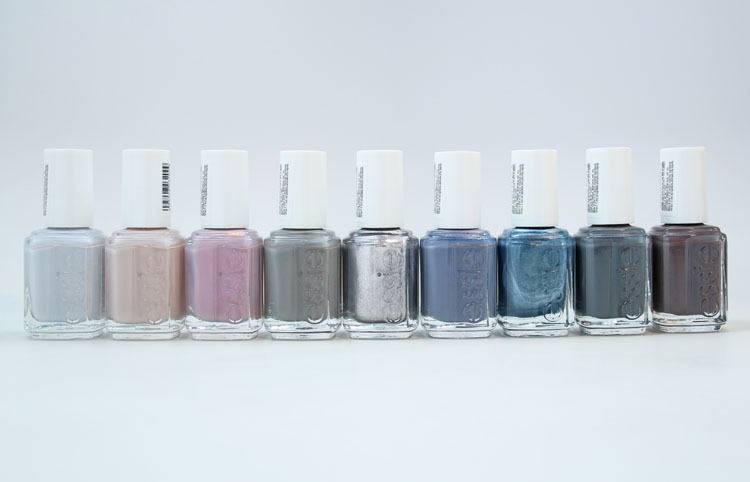 I am in love with this collection because I love muted and/or greyish nail tones, so this is perfect for me. I swatched *almost* all of these with just two coats (the one exception was press pause, which was three thin coats) and the formula was great! 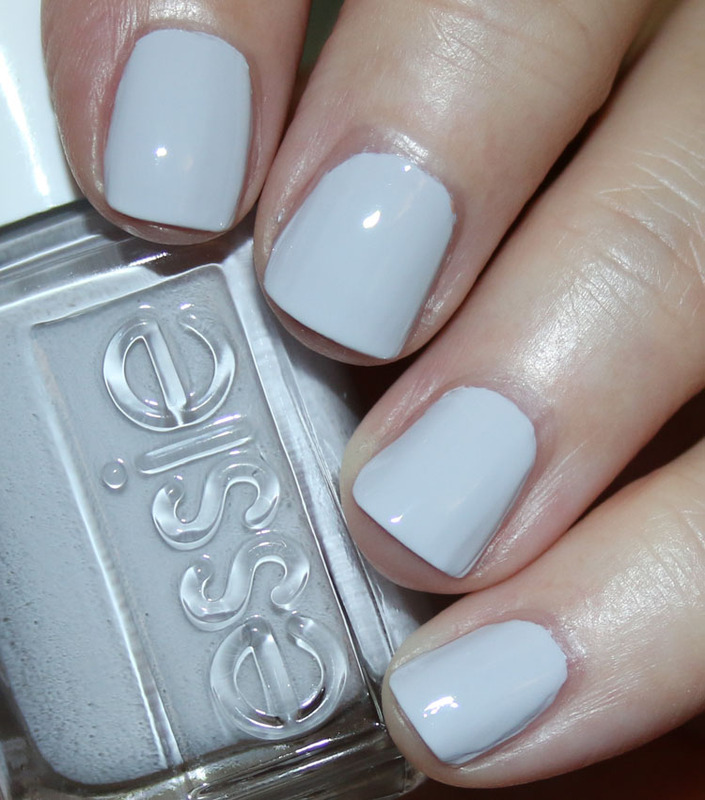 press pause is a light grey creme with a very slight blue tint. mind-full meditation is a light beige creme. 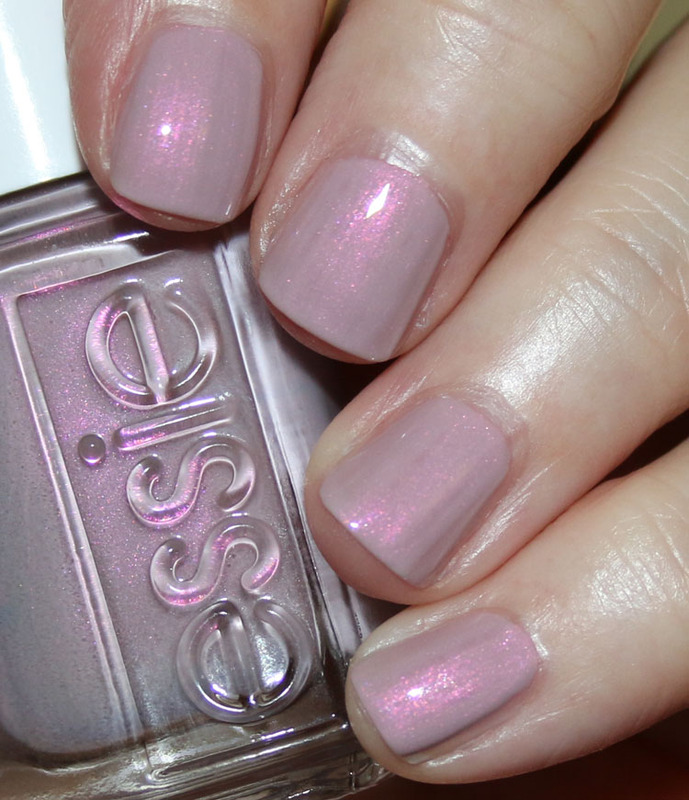 wire-less is more is a dusty grey with rose pink shimmer. serene slate is a medium stone grey creme. 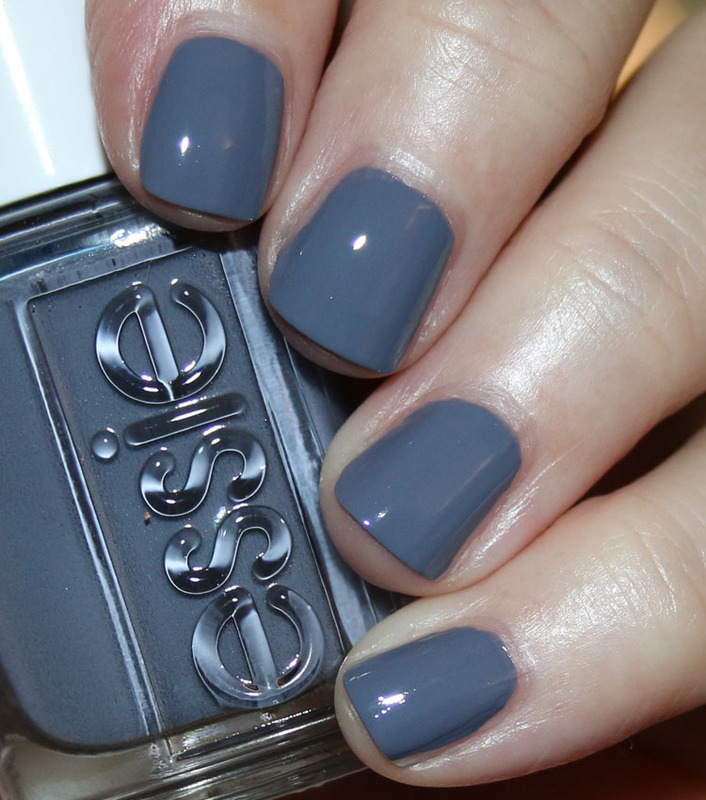 toned down is a medium steel grey/smoky blue creme. 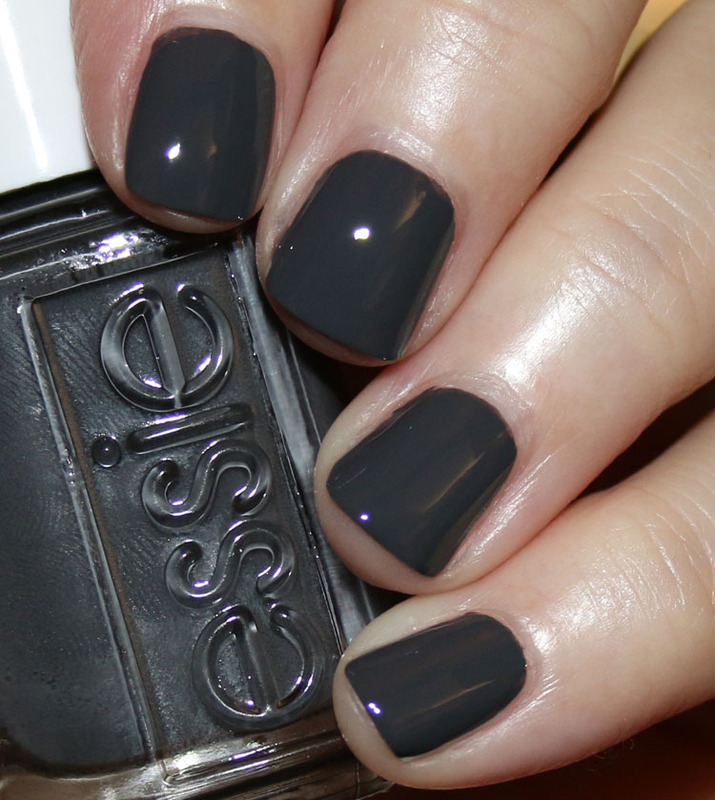 on mute is a dark charcoal grey creme. generation zen is a dark mauve/grey creme. 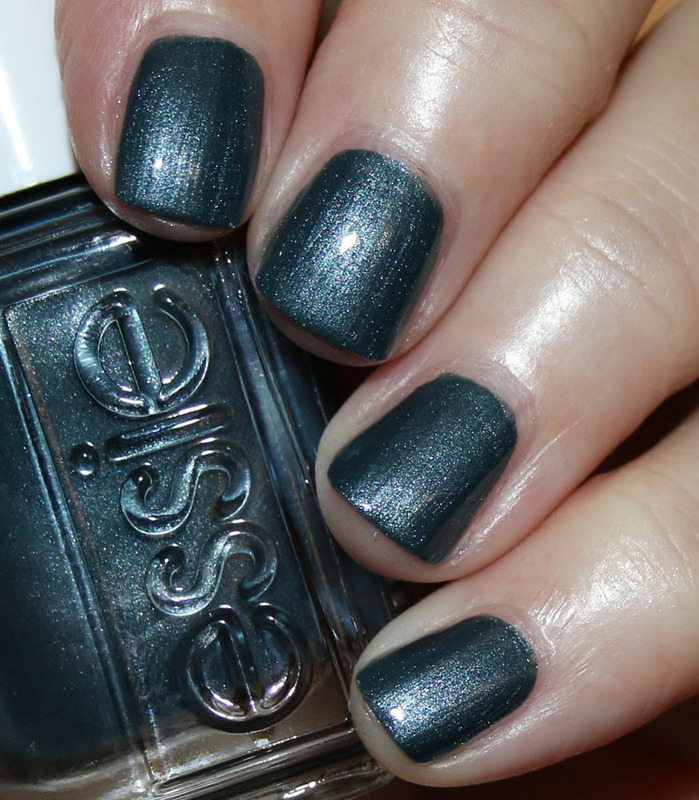 gadget free is a gunmetal grey metallic. cause & reflect is a deep indigo blue with silver shimmer. No lie, I am in love! Almost all these colors are just utterly beautiful to me, and many are unique. A couple don’t completely knock my socks off because I’ve seen them before. Those would be gadget free, mind-full meditation and wire-less is more. My personal favorites are serene slate, toned down, generation zen, on mute and cause & reflect. 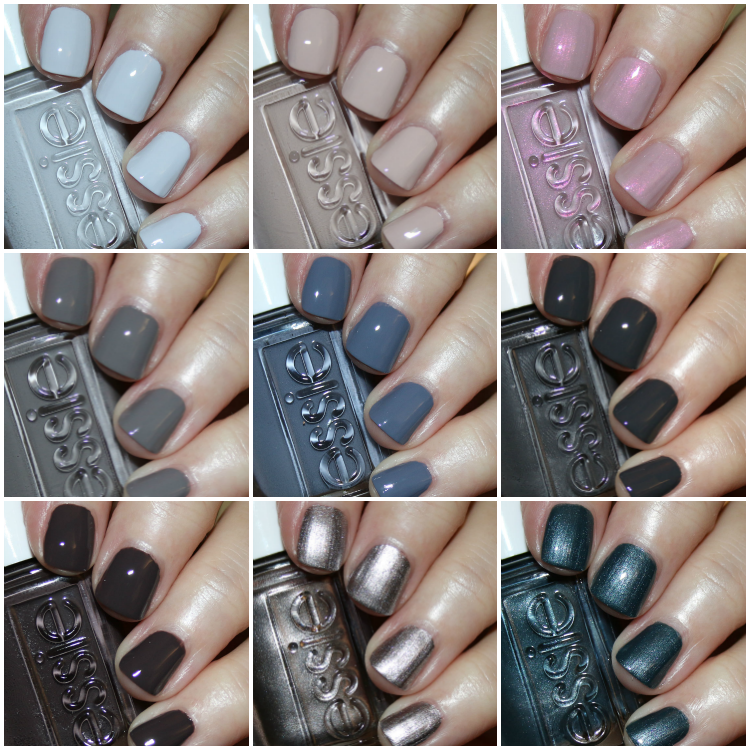 The essie serene slate collection comes out this month on their site and in stores and they are $9.00 each. Oooooh I’m absolutely loving Press Pause, Gadget Free & Cause & Reflect. This collection is definitely calling to my Winter mood. Wire-less is More reminds me of Demure Vixen. I’m liking Serene Slate and Toned Down though! the gray with pink is a must to me..
great review Kelly!! as always!! 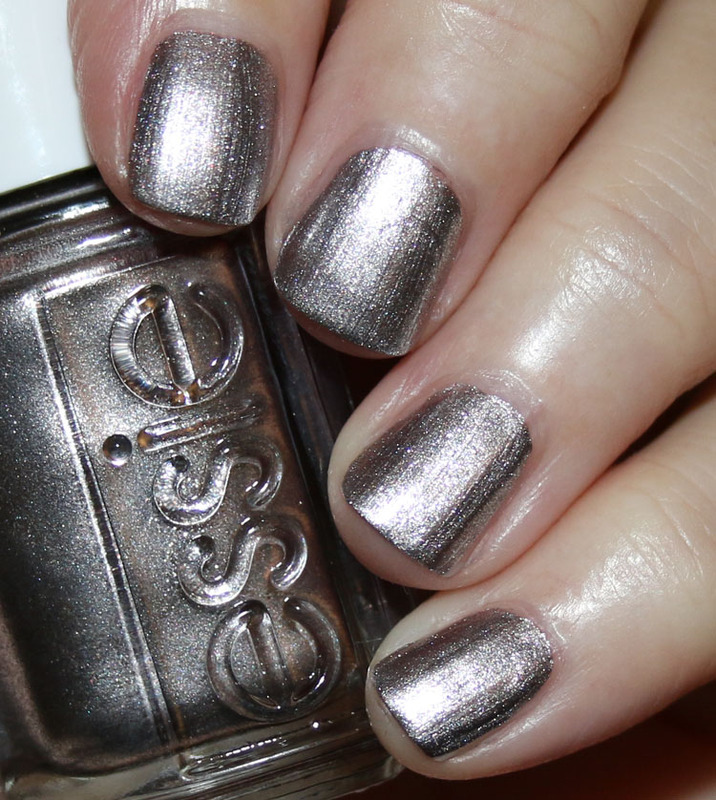 Awesome swatches, I want everything except the metallic colors. 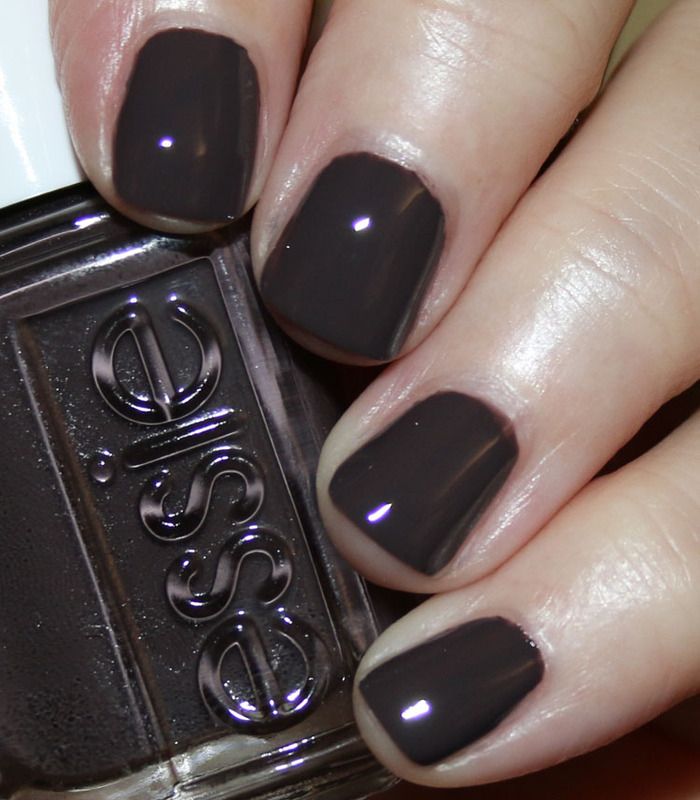 I saw elsewhere there were only 6 shades thanks for reviewing the entire collection. Now I just have to find them! This collection is really pretty! My favorite is toned down. Love me some blue grays! Wow! Love so many of these. Thanks for sharing!!! These are all gorgeous but Cause & Reflect!! That is a stunner 🙂 thanks for the swatches! All I know is they said January, so some time this month. my faves are wireless and serene slate! gorgeous! P.S. have you ever thought about having a guest blogger, or guest model? Love the idea, but I just don’t have the mental bandwidth to manage that right now.